RCAI offers proportionately sized bariatric products for the leg, hip and arms. Product line features the new Bariatric Universal Leg Brace with protected range of motion knee control, and precision adjustable hinge arms with contoured plates. 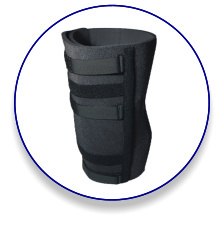 The Bariatric ULB can be used following injury or surgical repairs.